Hello everyone! I have another black history fact to share with you all today. Today's feature is Marjorie Joyner. Born October 24, 1896 in Monterey VA. Ms. Joyner is the patent holder for the permanent wave machine. In 1912 at just the young age of 16, she moved to Chicago to pursue her interest in cosmetology. By 1916, she became the first black woman to graduate from the A.B. Molar Beauty School. Shortly after graduation, she opened up her own beauty salon. 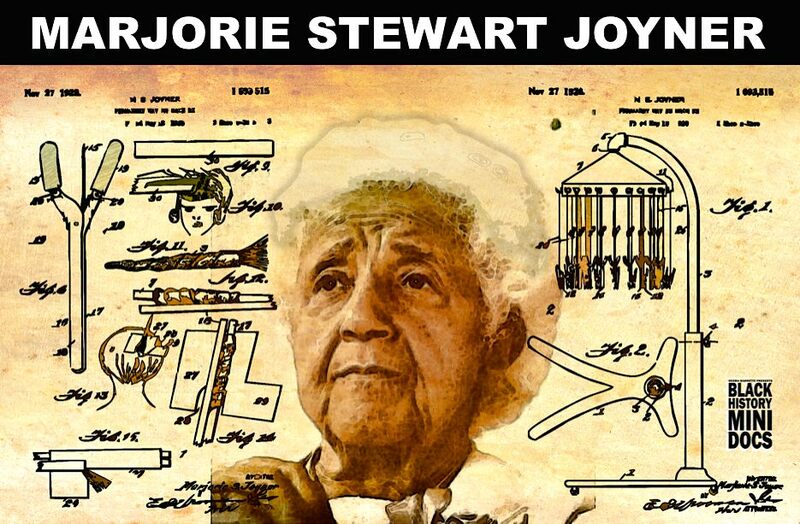 Marjorie Joyner was not only a scholar but an educator and innovator. In her 50 year career, she taught over 15,000 students! She also played a hand in developing new products and writing some of the first cosmetology laws for the state of Illinois. This design for this invention was actually sparked by the pot roast as Marjorie was cooking one day. Her idea was to use multiple curling rods under a hood on a woman's head to curl the hair all at the same time. This invention allowed curls to stay for several days.